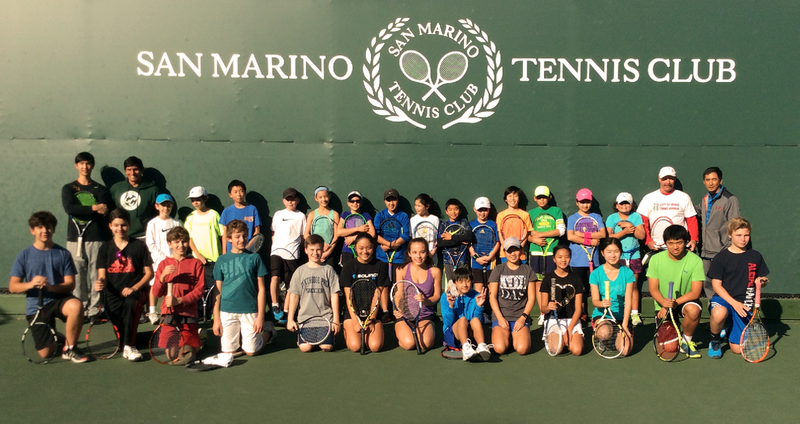 San Marino Tennis Center offers professional instruction, both private and group, at all levels of play, including USTA Jr. Team Tennis. The goal of all our instruction is to instill a love of the game by teaching solid fundamentals in a positive atmosphere. Some juniors coached by our USPTA certified pros have achieved NCAA Div. 1 college scholarships and touring pro status, but our staff's main aim is to help every student at every age achieve their personal goals in a positive environment. For information regarding clinics and lessons, contact Paul Salvador at 626-793-1622 or email programs@sanmarinotennis.org.